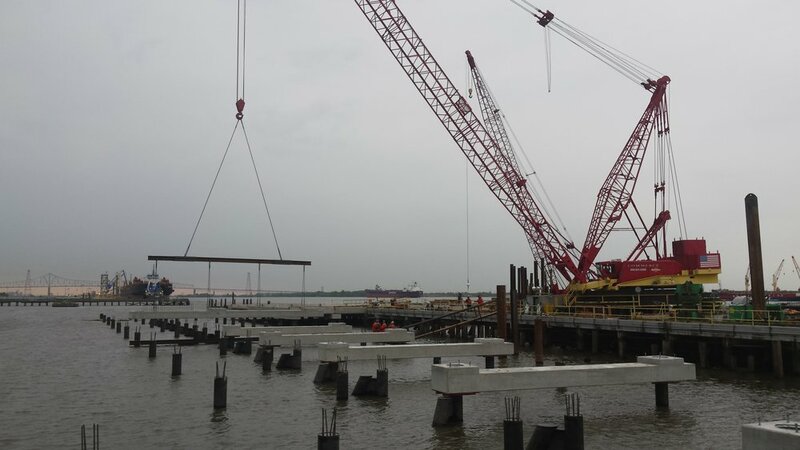 Commerce Construction recently completed the demolition and rehab/construction of dock 1A and 1B in the Sunoco Logistics Marcus Hook Industrial Complex. This $50+ million, nearly two year project required the complete demolition of the existing roadway and pipe way, loading platform, and two existing mooring dolphins with walkways. The former 1B barge berth was rehabilitated with additional driven piles and structural steel to accept prefabricated pipe modules. A new roadway/pipe way was constructed with new driven piles and precast pile caps and precast roadway beams. The pipe way included structural steel frames prefabricated in multiple 80’ sections and set in the field for pipe module support. 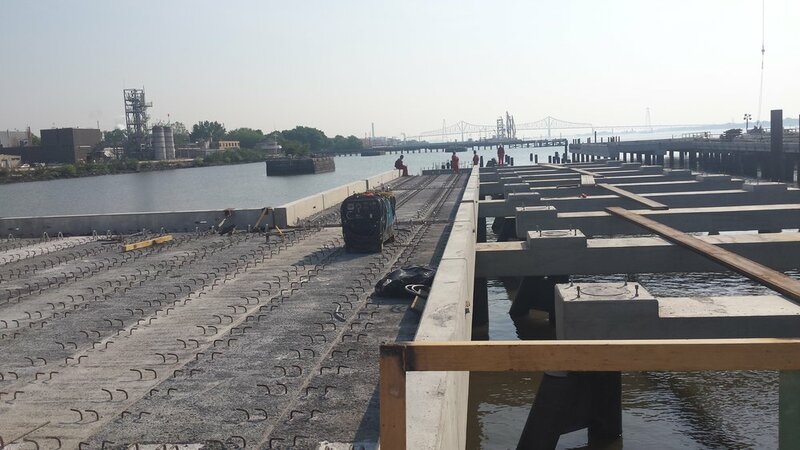 The loading platform was also constructed with driven piles and precast caps and planks with a concrete overlay. The platform was constructed to handle three more pipe modules and 6 total loading arms. At the loading platform 2 breasting dolphins and a crane tower foundation were also constructed. 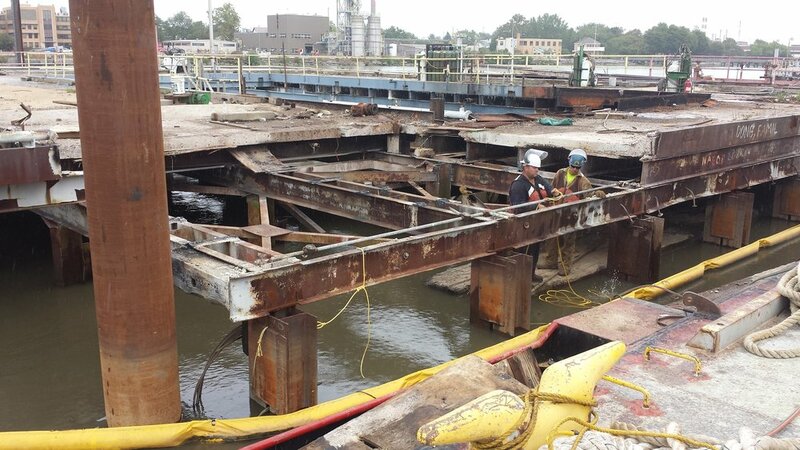 Along with the roadway/pipe way and loading platform, 2 breasting cells were demolished, re-rung with steel sheet pile, and capped. 6 mooring dolphins were also constructed along with walkways. All work was completed on schedule and within budget.